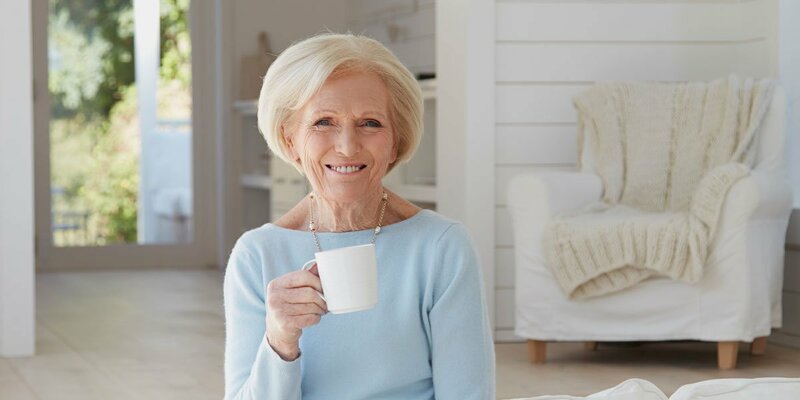 Mary Berry is known nationwide for her work as a judge on The Great British Bake Off, Junior Bake Off, and Comic Relief Bake Off. Mary also presented the Love Production’s American spin-off show The Great American Baking Show for NBC. Mary’s latest series Mary Berry’s Quick Cooking was broadcast on BBC 2 in March of this year and she is currently filming the second series of Best Home Cook (BBC 1). Mary’s recent series have included Classic Mary Berry (BBC 2), Mary Berry Everyday (BBC 2) and Mary Berry’s Country House Secrets (BBC 1). Mary trained at The Cordon Bleu in Paris and Bath School of Home Economics, and in the swinging '60s Mary became the cookery editor of Housewife magazine, and later, Ideal Home magazine. She first appeared on television in the 1970’s when she became the resident cook on Afternoon Plus with Judith Chalmers. Combining motherhood and work, she continued writing books and filming television series for BBC from her home. She launched the extremely successful Aga Workshops, a cookery school at home, which had over twelve thousand students over sixteen years. She has written over eighty cookery books with total sales of over six million. Mary is a Patron of the Child Bereavement Trust, an Ambassador for the RHS and President of the National Garden Scheme. Mary has won many awards including Good Housekeeping Award for Food Book of the Year and an NRTA for Best Television Chef. In 2012 Mary was honoured with a CBE for services to culinary arts and in 2017 she won the title of Best TV Judge at the National Television Awards. Mary Berry will be supporting the 2019 Julia Child Scholarship as the main Chef Ambassador. Dhruv Mittal is a Le Cordon Bleu London alumnus, chef and restaurateur, with two restaurants in London: DUM Biryani House and the newly opened Lucknow 49. 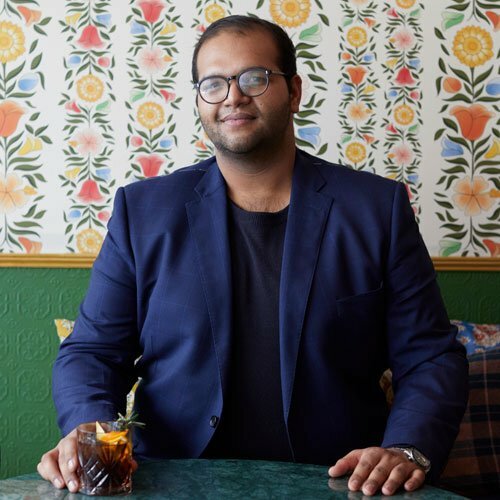 Dhruv Mittal, whose previous experience in the restaurant industry includes; The Fat Duck, Hisbiscus and Sat Bains, was born in Hyderabad, India and raised in Manchester. Following a diploma in French cuisine and patisserie at Le Cordon Bleu, Dhruv then travelled across India and worked at institutions such as The Oberoi hotels, developing his knowledge of the cuisine. Inspired by his travels, Dhruv launched ‘The Chaiwalla Supper Club’ at his home in London. Having always dreamed of opening his own restaurant, DUM Biryani House is his first venture, which he opened in 2016. The restaurant offers authentic Indian street food dishes, alongside traditional Hyderabadi biryani. Named after the cooking method of the biryani, ‘dum’ by steaming rice and meat on a low heat, DUM Biryani House is set in a basement on Wardour Street in London's Soho. DUM Biryani House takes inspiration from Telugu cuisine from the regions of Andhra Pradesh and Telangana in South India, with the Hyderabadi Biryani being the main focus. This April, Dhruv opened his second restaurant, Lucknow 49, an Indian restaurant specialising in Lucknavi cuisine just a stone’s throw from London’s bustling Regent Street. Dhruv will take inspiration from the low and slow Awadhi cooking of the city of Lucknow in Uttar Pradesh, a North Indian style that sees fluffy biryanis, galawati kawabs and curries at the centre of the table. A successful entrepreneur, Dhruv will be providing mentorship for the Julia Child Scholarship winner. After training at Le Cordon Bleu, Georgia’s mission is to bring classical baking down to a level that everyone can utilise, whilst inspiring with the latest trends and staying up to date over social media for her followers. 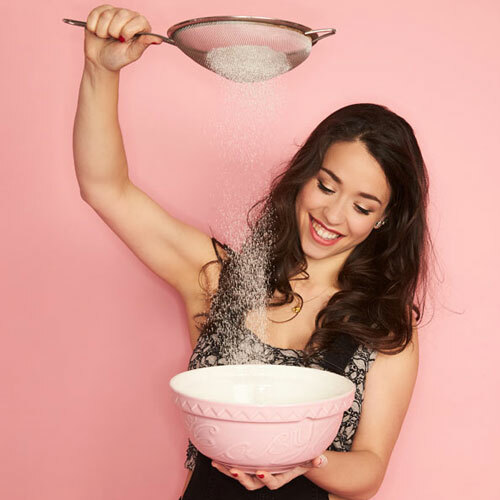 Georgia’s Cakes was founded in 2015 by Georgia Green in North London. Since then, she has accumulated over 100,000 followers via Instagram, launched a YouTube channel and appears on Snapchat via Tastemade every month. Georgia’s Cakes has attracted fans like Cara Delevingne, Suki Waterhouse and Lorraine Pascal, and has collaborated with brands such as Refinery 29, Cosmopolitan and Lancôme. Now displaying her wedding cakes in Harrods Food Hall and the recently opened Wedding Gallery in central London, Georgia’s Cakes is becoming the new trend in the industry. With her sights firmly set on establishing herself as Britain’s leading lady of baking, Georgia is building an empire, one decadent cupcake at a time. "Le Cordon Bleu is the perfect institution for anyone who wishes to pursue a career in the culinary industry. High-level training, surrounding yourself with other talented chefs and students, and gaining experience in a professional kitchen provided me with a solid foundation before venturing out into the culinary world. I absolutely loved my time at the school and even six years on, I still apply the knowledge and skills I gained to my work. I truly believe I would not be where I am today without the support and experience of Le Cordon Bleu." Georgia will provide support as a mentor for the winner of the 2019 Julia Child Scholarship as well as judging at the semi-final stage. Evelina Ogorzalek trained as a Pastry Chef at Le Cordon Bleu, London, studying the Grand Diplôme. 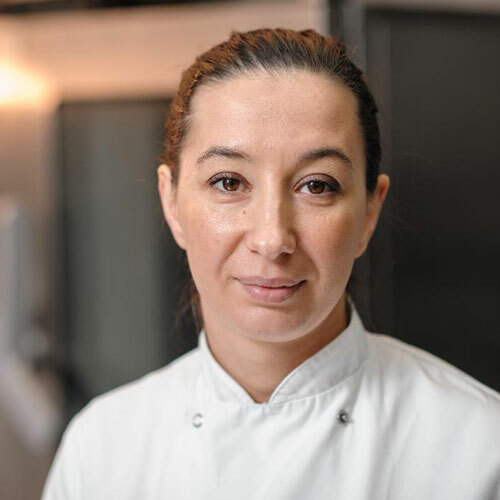 After completing her training, Evelina gained excellent professional experience working in high-end kitchens such as Fortnum & Mason, the 5* Langham Hotel and two Michel Roux Jr restaurants, including the renowned Le Gavroche. Evelina also worked at a boulangerie in the heart of Paris before deciding to open her own pâtisserie: Evelina's Patisserie. Situated in the beautiful London suburb of Muswell Hill, Evelina’s is a Patisserie like no other. Specialising in English cakes and modern French pastries, Evelina's Patisserie also provide catering to some of London’s finest restaurants. Everything available at the pâtisserie has been made fresh on the premises the same day. Offering her support, Evelina will be a judge in the semi-final stage of the competition and also provide mentorship to the overall winner of the scholarship. Today Luiz specializes in Japanese and Nikkei cuisines as a writer, public speaker, supper club host and cookery teacher and Luiz’s work has been featured in a number of British media including Olive Magazine, Sainsbury’s Magazine, The Independent, The Evening Standard, The Times and The Guardian. 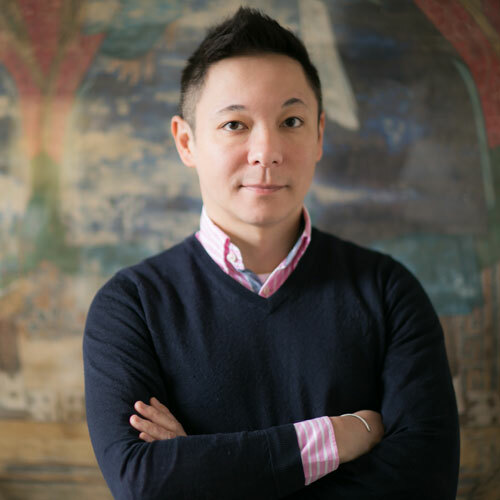 He has written for Time Out London, BBC Good Food Channel and The Telegraph, and is is the author and founder of The London Foodie blog, which has been regularly listed as one of the top 10 UK food blogs since its inception in 2009. Luiz is also the UK authority on Nikkei cuisine, a hybrid of Japanese cooking created by Japanese migrants to South America. His first cookbook, Nikkei Cuisine: Japanese Food the South American Way, was published in 2015 in all English-speaking countries by Jacqui Small, and was subsequently translated into five languages and published in eight foreign editions to date. Luiz's latest cookbook The Japanese Larder: Bringing Japanese Ingredients into Your Everyday Cooking was published by Quarto in October 2018. Luiz will provide mentorship for the winner as well as featuring as a judge for semi-final of the Julia Child Scholarship.